This is a simple yet effective HIIT workout for those of you looking for a quick cardio burst before your strength training sessions. 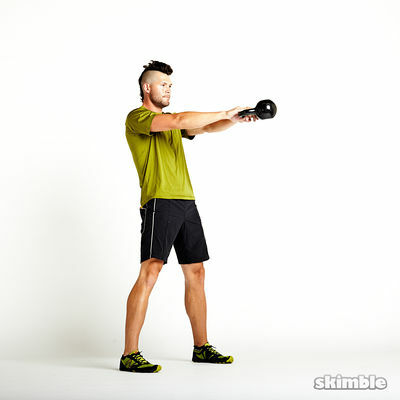 You'll need a jump rope, a box or step, and a kettlebell to complete this workout. If you don't have access to this kind of equipment at a gym, just find alternatives to use around the house. Up N Da Am, & Right B4 Bed Stretch It Out Ppl U Heard Wat I Said!! !